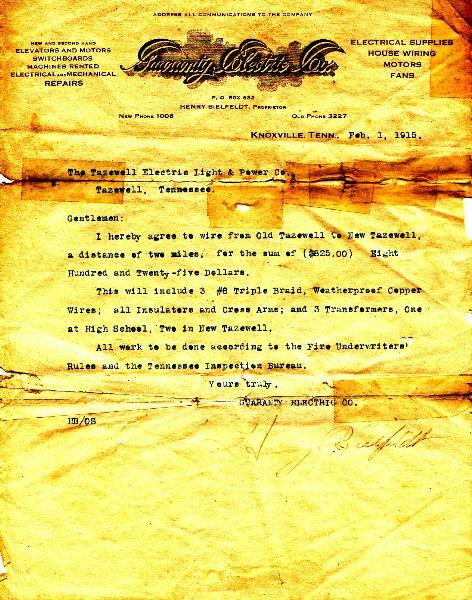 Tazewell Power and Light Co.
"Receipt for Wire and Poles from the Tazewell Power and Light Co. from Old Tazewell to New Tazewell", dated Feb. 1, 1915. I know where the company was located and it sat very near where the present day Frostee Freeze is. It powered a theater owned and operated by my grandfather, Joseph Phillips. See the links to follow for more about the "Tazewell Power and Light Co."
ELECTRICAL REVIEW, Volume 76, - May 29, 1920, New Tazewell Tenn. - The Claiborne County Light & Power Co., recently organized with $25,000 has acquired the plant of the Tazewell Light & Power Co. and is arranging plans for construction of a new transmission system to connect with the system of the Kentucky Utility Co., Louisville, Ky., at Cumberland Gap. J.P. Ritchie, New Tazewell, Tennessee is the President of the company. 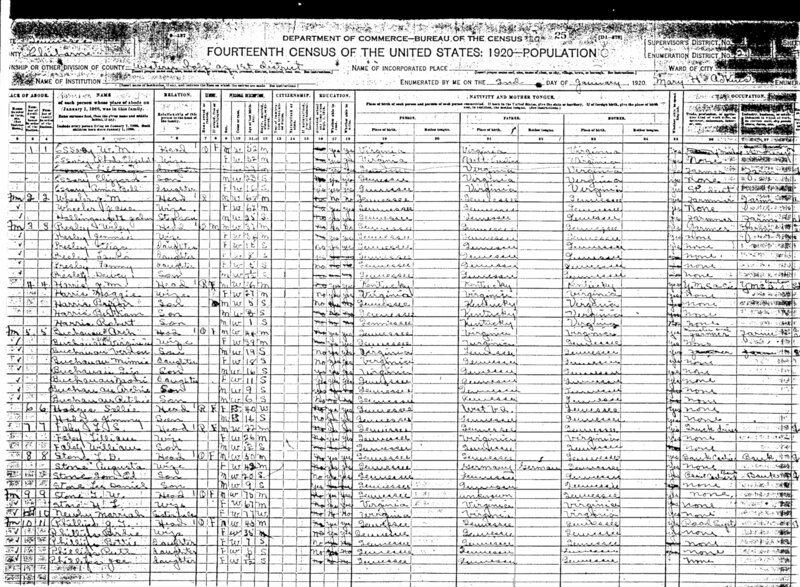 Return to Joe Payne's Genealogy Page © Copywrite 2001 Webworks, Inc.